Like electric vehicles, hybrid cars offer an alternative to conventional gas-powered cars that reduces operating costs and emissions. Owning a hybrid has certain benefits over an all-electric vehicle, and vice versa. Read on for the main differences between hybrid cars and electric vehicles. 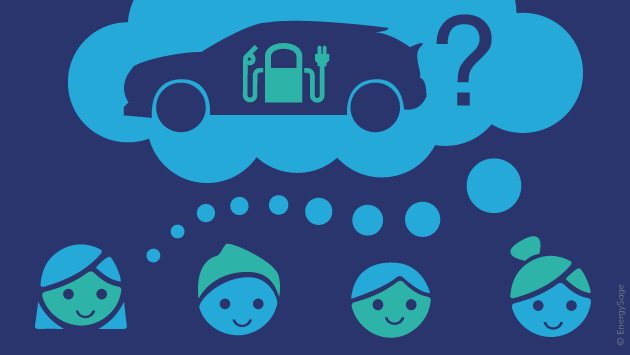 What are hybrid cars, and how do they work? As their name suggests, hybrid cars are a combination of two types of vehicles – electric cars and traditional gasoline-powered cars, also known as internal combustion engine vehicles (ICEs). A hybrid car has an combustion engine that runs on gasoline and an electric motor with an attached rechargeable battery pack for electric-powered driving. Hybrids can use both engines at the same time to increase power, or rely on one depending on the driving type. There are two types of hybrid cars: standard hybrids and plug-in hybrids (PHEVs). Standard hybrids use regenerative braking and the internal combustion engine to charge a battery pack, providing supplemental electric power. They can’t be charged at an electric car charging station, unlike PHEVs. This makes PHEVs more similar to fully electric vehicles. PHEVs generally have larger electric batteries than standard hybrids, with the ability to drive only on electric power. Typically, hybrids have lower battery ranges than all-electric vehicles, and the electrical capacity is designed more to supplement gasoline driving and to help maximize fuel efficiency. Some hybrids offer an electric-only driving mode, which may only be available for low speeds and/or short ranges. Many hybrids automatically draw power only from the electric motor below certain speeds, which is why they are often much more efficient in city driving conditions. Hybrids are sometimes seen as an intermediary option in the transition away from fossil fuels and towards more renewable energy sources. Does a hybrid car make sense for your driving habits? A hybrid can be a great investment, depending on your driving needs and lifestyle. An important note about hybrids to remember is that although they do have an electric battery, it is smaller than the battery in a completely electric vehicle, and can only support a limited range of electric driving. That being said, if you have a short daily commute, or plan on using your car for mostly quick trips, you may be able to run on electricity for the majority of your driving time. If this is the case, a hybrid may make sense, as you wouldn’t have to use the combustion engine and spend money on gasoline very often. Conversely, if your commute is long and you want to take your vehicle on lengthier trips, a hybrid might not make sense. Because hybrid savings kick in from not having to stop at the gas station as often as with a conventional ICE, driving long distances that exceed the battery range capacity in your hybrid will keep those trips to the gas station in your regular routine. A hybrid vehicle is most effective at saving money when your commute is short, and you can rely on the small electric battery for the majority of your driving time. Both hybrid cars and all-electric cars contain batteries and can operate more efficiently than conventional gas-powered vehicles. However, there are some cost differences between the two eco-friendly options. A major difference between hybrid and electric vehicles is their fuel type. Both types of vehicles have a battery that can be recharged with electricity. Electricity comes from many generating sources, from the burning of fossil fuels to renewable sources like solar, wind, and hydro power. With both options, environmentally conscious car owners can choose to invest in renewable options like home solar panels in order to minimize their transportation footprint. Hybrids have fuel flexibility, however – they can run on gasoline as well. Depending on your driving habits, some hybrids can switch between electric and gasoline-powered travel automatically. This can be a great option, as having a gasoline-powered engine removes some of the stress that comes with an electric vehicle’s limited range. Running out of charge in an electric vehicle is much more likely than running out of combined charge and gasoline in a hybrid, as gas stations are much more common than EV charging stations. When it comes to fuel costs, all-electric vehicles make less of a dent in your bank account. Instead of paying for a full tank of gas every time you “fill up” your electric battery, you are adding to your home electricity bill. The Department of Energy has created a handy tool called the eGallon, which can directly compare the cost of driving on electricity vs. gasoline, based on current gas and electricity prices state by state. In general, electricity prices are lower than gasoline prices on a per-mile basis, and tend to fluctuate less. Aside from paying for fuel, there are other costs associated with owning a vehicle. Maintenance costs, in particular, are a significant money sink for any car owner. Unfortunately, hybrids run into many typical maintenance issues that ICEs also experience. Engine oil, transmission fluid, coolant, and belt replacements can add up over the lifetime of a hybrid, albeit at a lower rate than ICEs that depend solely on their combustion engine. EVs avoid the costs associated with combustion engines. However, they do still have maintenance expenses in the form of universal car issues like tire changes, insurance plans, and structural damage. 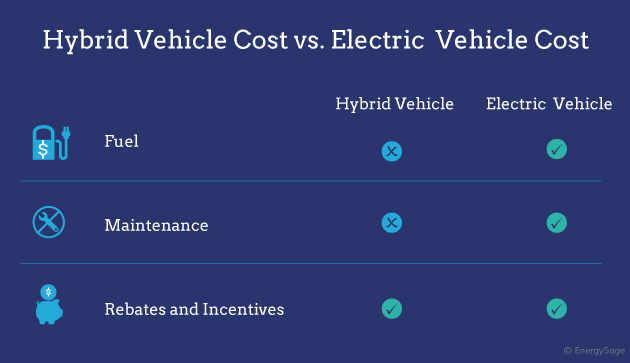 Because hybrids can rely on their electric motor to ease the strain on their combustion engine, they may not cost as much to maintain as traditional ICEs, but they will still end up costing more to maintain than an electric vehicle. Both all-electric vehicles and hybrids are at risk of battery degradation. If you are still within your car’s battery warranty period and your battery degrades past the guaranteed point, you won’t need to worry about paying for a replacement battery. However, if you are past warranty, replacing the complex electric battery could end up costing a significant amount of money. Most EV/hybrid owners won’t need to worry about paying to replace their car battery, but it is a risk associated with owning an EV or a hybrid. One reason to go with an electric or hybrid vehicle is the federal and state incentives that come with it. These rebates help offset the typically higher cost of a non-ICE vehicle, and make going electric or hybrid more accessible. 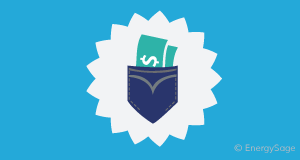 Rebates and incentives for EVs and hybrids are changing constantly, and it’s important to know what kinds of incentives are or are not available. You can learn more about federal and state EV incentives in EnergySage’s guide to electric car tax credits. Both electric vehicles and hybrids have incentives associated with them to help ease the cost of going electric. Incentives are constantly changing and vary state by state, so it is always important to confirm the current options available for you to use with your electric or hybrid vehicle purchase.